On Monday I went to my very first blogger-related party! 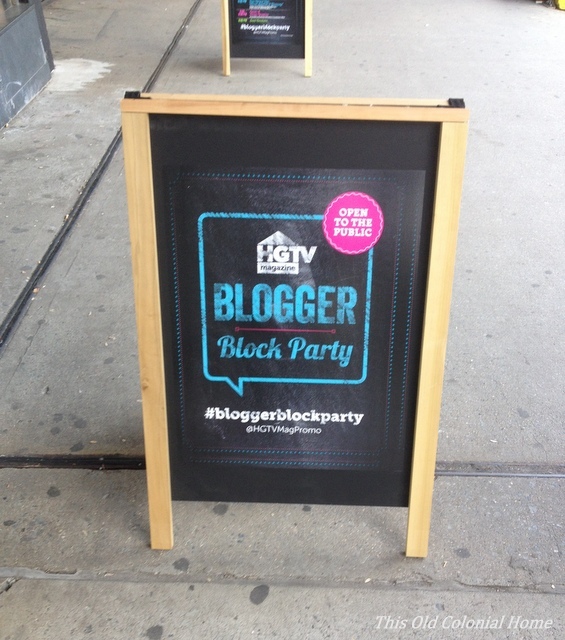 HGTV Magazine hosted a Blogger Block Party in New York City. The details leading up to the event were pretty vague and I didn’t know what to expect. Needless to say I was nervous about going by myself, especially since I’m still a newbie at this whole blogging thing. But one of my good friends encouraged me to step outside my comfort zone. She said the only way people will get to know me is if I go and meet them. Thanks for the advice, Steph! So I put on my big girl pants and decided to go. Manhattan is just a 45 minute NJ Transit bus ride away, so there really was no reason not to go! I felt welcome right away! There was free swag right upon entering the door, which is always okay in my book. Plus, everyone I spoke with was nice and friendly. It was a great opportunity to meet fellow bloggers and even non-bloggers who just love DIY. 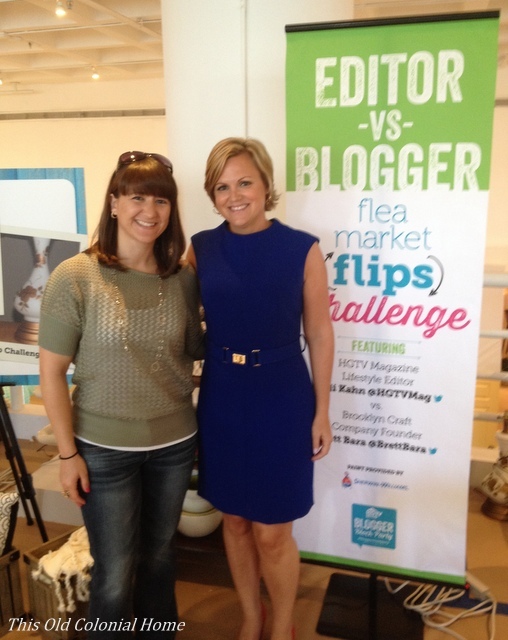 I even got to briefly meet Sara Peterson, the Editor in Chief of HGTV Magazine. The day consisted of making connections, as well as crafting, and easy DIY demonstrations. The kitchen art was probably my favorite. 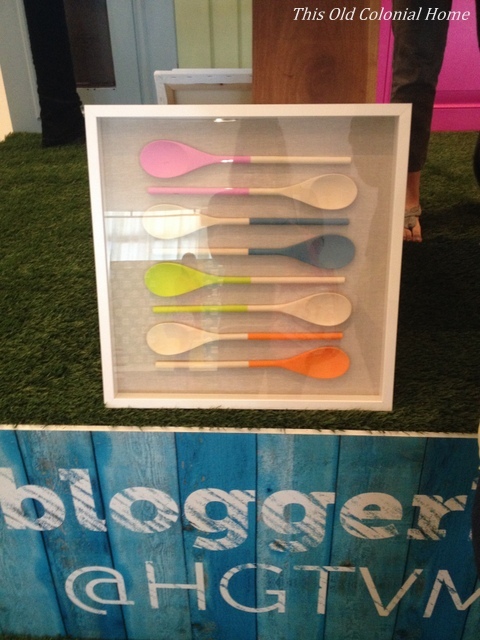 I kinda really want to try these painted wooden spoons! 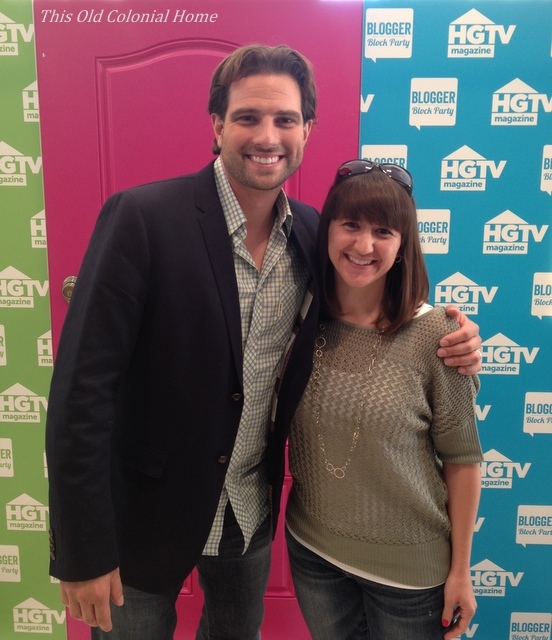 The highlight of the day, of course, was when Scott McGillivray – host of HGTV’s “Income Property” – arrived for his demonstration. His presentation was definitely the most interesting and informative. And it doesn’t hurt that he’s easy on the eyes! (Sorry, honey!) I even got up the nerve to ask him a question during the Q&A portion. Hopefully my nervousness wasn’t too noticeable. I asked him what his thoughts were on ripping out a closet and replacing it with a bench and hooks, which is something Jamie and I plan on doing in our entryway. He answered that taking away storage isn’t a great idea, but as long as you replace it with another form of storage it should be fine. Thanks, Scott! We were then able to get our picture taken with him! When it was my turn, I simply thanked him and said it was nice meeting him. I tried to act nonchalant on the outside, but inside I was super giddy! I stayed a little bit for the cocktail hour that followed, chatted with a few more people and then decided after nearly 8 hours I would head home. I definitely enjoyed myself and I’m glad that I went. I learned a lot from more experienced bloggers and left with my head spinning and full of ideas. While I am just a little guppy in this massive sea of home décor/DIY blogs, this doormat at the party is my new inspiration and motivation! 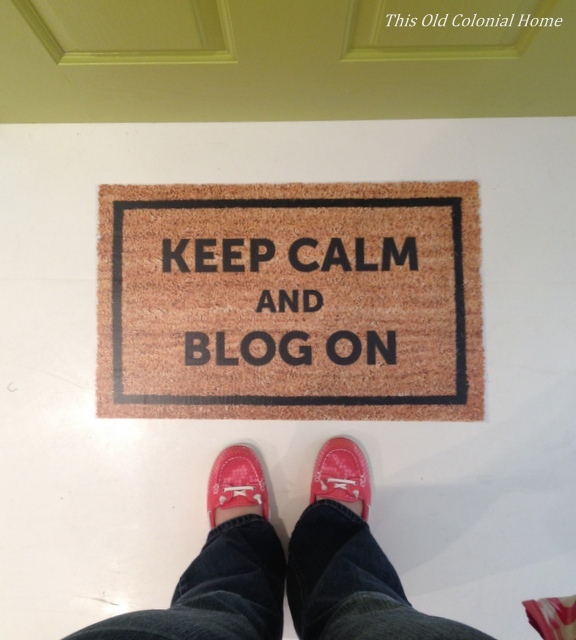 We all have to start somewhere — so keep calm and blog on! 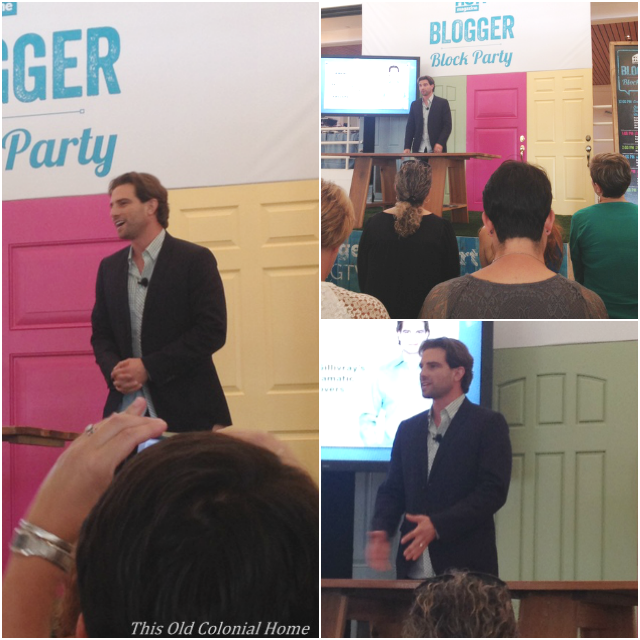 Categories: DIY | Tags: blog, blogger block party, diy, HGTV, home decor, Scott McGillivray | Permalink.